If you want to customize your video, an excellent video editing tool which can edit, cut, trim your video is a must before the task. 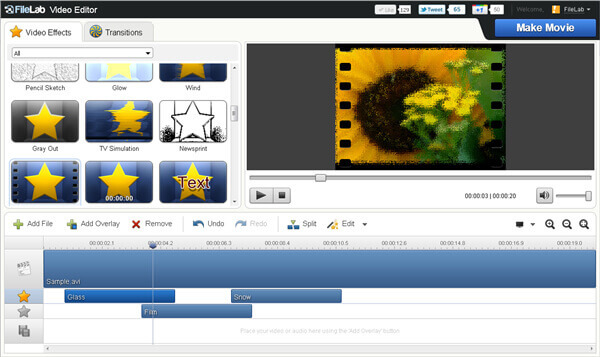 There are many video editing features and related tools. But in this article we mainly discusss the features of MP4 cutters. If you are looking for a better MP4 video trimmer, ultimately you are at the right place. Here are the top 25 MP4 video cutters used for the efficient video editing tasks. This is your one-stop-shop for video splitting, enhancing, and organizing. It allows you to export your videos to several different types of devices by using several different formats and its quick splice-and-edit technique allows even a longer video to be turned around into a shorter one in no time at all, depending on the quality of the original footage. It also includes a unique feature that allows you to burn DVDs directly in the program. 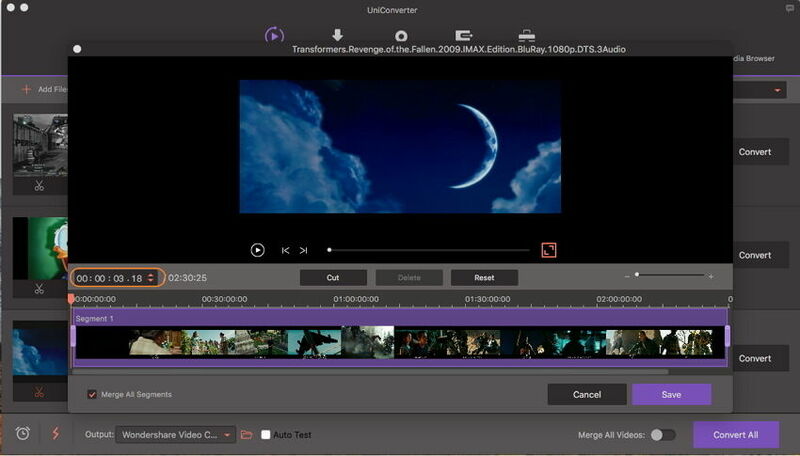 With Windows' newest upgrade to 10, Wondershare UniConverter (originally Wondershare Video Converter Ultimate) is already formatted to be compatible. It must be fully purchased in order to be utilized, but compared to the industry-standard expensive editing hardware, the prices that begin at $39.95 seem quite reasonable. Cut the unwanted segments of MP4 video by even frames. Merge and join videos together with one click. Step 1 Open Wondershare MP4 cutter and Add MP4 file. 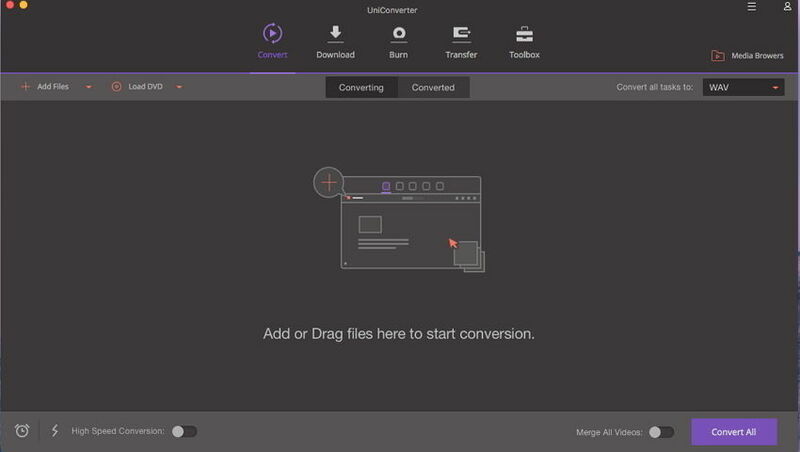 Launch Wondershare UniConverter (originally Wondershare Video Converter Ultimate), then add video files to this MP4 cutter under Convertsection. You'll see 3 editing icons under the video thumbnail and they are Trim, Crop and Effect respectively from left to right. Step 2 Cut your MP4 video as you wish. Click the Trim button on the left to get the Trimming window. There are many situations you want to cut, you may want to cut the end or the start of the video, or cut the middile of the video etc. Different situations will have different steps, you can learn more details about trimming MP4 videos >. In this part, we mainly introduce the situation if you want to cut the end or the start of the MP4 video. If you want to cut the video from the beginning or the end of the video, hang your mouse at the rear/front of the clip (Note: For the Windows version, Here you can move your mouse on the time slider and the icon will appear, click it to write the exact time you want to trim), then click the Cut button to cut the video into two parts. Step 3 Convert cutted video. 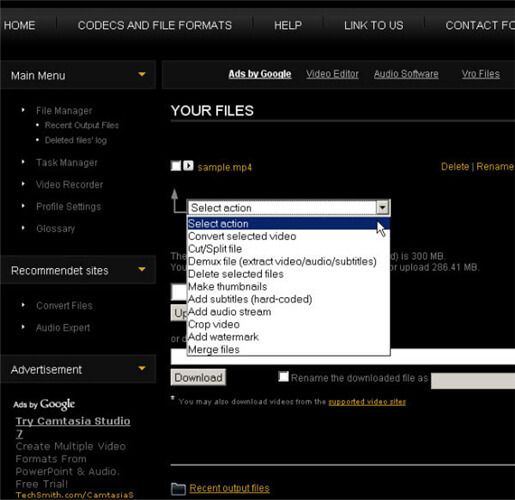 Now click the drop-down button beside Convert all files to: to select MP4 as the output format for the edited video and click Convert All to proceed. When the conversion process ends, you'll see the edited video under the Converted tab or click Output icon at the bottom of the main interface.. This tool is more tailored to the MP4 format, but it's extremely user friendly for those who may not be quite as experienced with how to edit MP4 video, especially in a more advanced format. As the title implies, it is free and uses a simple in and out tool to cut your video and export it without reducing the quality. There’s not much else to say to define this program, as it is straightforward and easy to use, even for novices. Unlike other freeware programs, this gives you the option to exclude additional add-ons when you initially download the program. Free Video Cutter is the type of editing program that is ideal for longer length videos and is even a great tool for cutting audio files. 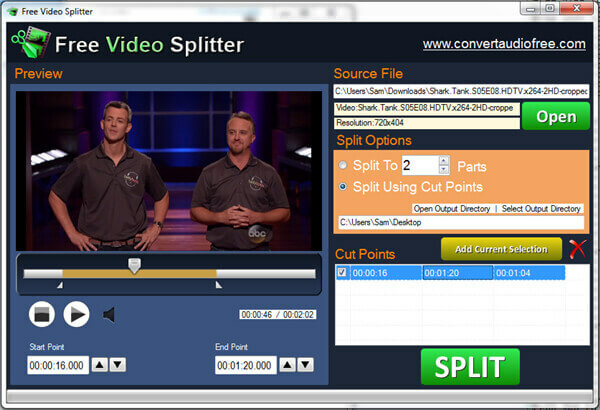 It's a basic program for basic editing, but, like Free MP4 Splitter, its interface is uncomplicated and very user friendly. However, instead of setting just an in and out point, you are able to slide your cursor to the exact spot you want to cut it and it does just that. No frills, no effects, just simple, effective cutting for the everyday user. Pay attention to your download of the program to make sure you do not download other add-ons. Despite its name, the Weeny program doesn't make you hysterical with giggles. 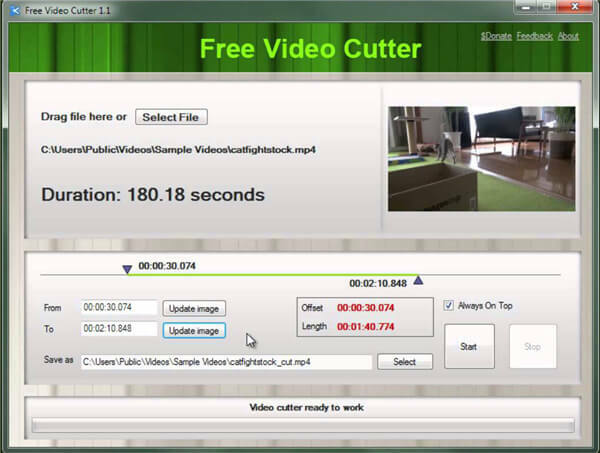 It is another free-to-download video cutter and converter that is geared more towards making files compatible for uploads to YouTube and Facebook video. It can convert MP4 into many other formats and contains no watermark when exported, unlike loads of other free software downloads. Weeny works great for small or large files and doesn't require any additional fees for exporting to certain formats. Now, if only the name of the software could be converted into something a 12-year-old boy would laugh with his friends about. 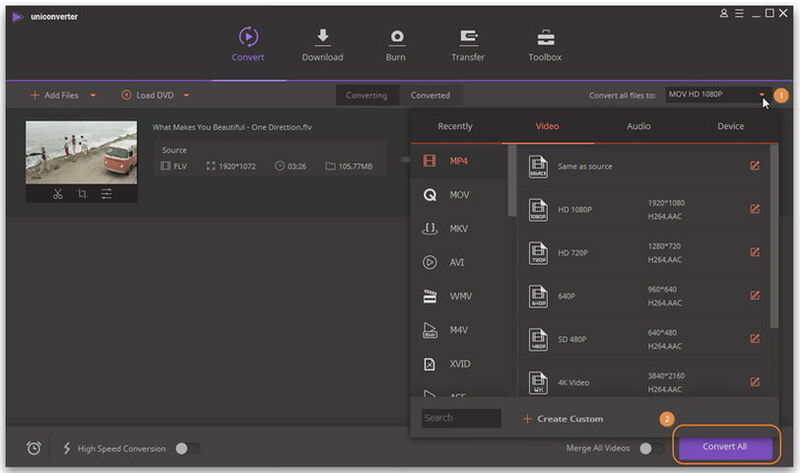 Chick Video Cutter gives you the ability to not only cut your video into clips, but it also allows you to add transitions and effects to fancy it up. Along with Chick's other freeware, you can create quite the cinematic masterpiece to brag to your friends and family about. This program is also great for creating animated gifs that are making the rounds of popularity, in addition to dealing with NTSC and PAL video formats. CVC comes in a free trial version, but each license is an inexpensive $4.98. Just like the Windows version, this is your one-stop video solution for video splitting, enhancing, organizing, converting, and downloading for Mac. After you have finished handled your videos, you can directly upload MP4 videos to YouTube, Vimeo and Facebook or transfer MP4 videos to iPhone, iPad. MP4Split for Mac is a fantastic program for breaking your MP4 files down into chapters, which makes burning them to a DVD - and possibly using a DVD Authoring program--just that much easier. It is free software that claims to convert your files quickly and export them without compromising any of the quality they were imported as. It has the capability of splicing your MP4 files or converting them to other formats and then splicing them. The download comes as a zip file, which is free and has no limitations to it. 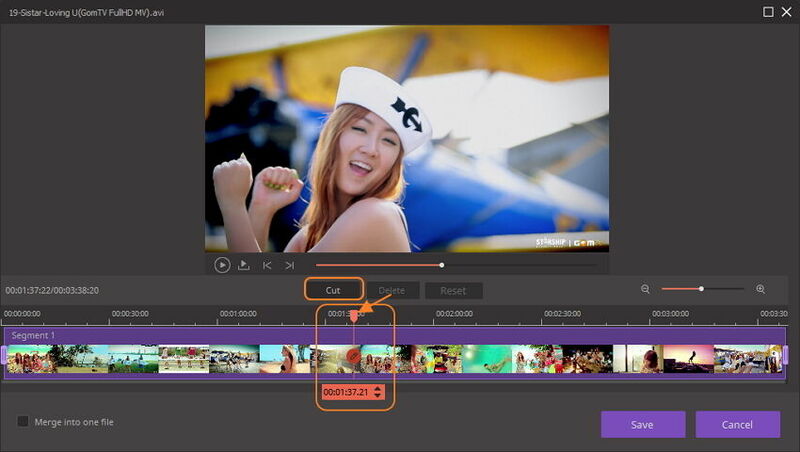 It is an easy to use video cutter for Mac. It goes well with various formats including; MPEG, AVI, MP4, 3GP, FLV and others. With the use of this software, you can also decide on the video size, frame rate, audio and video quality plus sample rate etc. 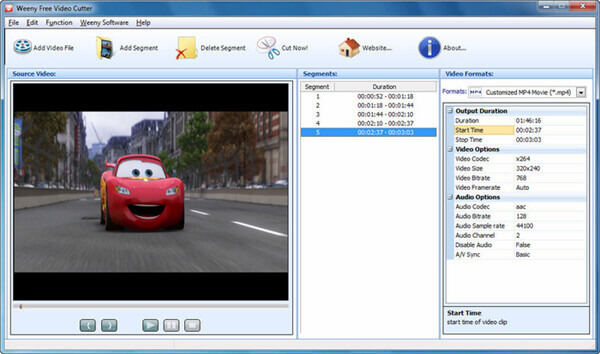 For the MP4 video editor who hasn't quite grasped the advanced processes of some of the previous software programs, there exists a user-friendly program from ImTOO Software Studio called Movie Maker. Whether downloaded on its own or bundled with ImTOO's other more advanced products, such as more in-depth audio tools, you can input and export your videos into a bevy of different formats that are compatible with all web sites, social media platforms and even gaming consoles. It comes as a free download with limitations or you can buy it for $49.95. Of course, we have to pay homage to the original and most prolific video cutter for non-industry video makers on Mac computers. It comes with its own templates if you need a jumpstart to your editing and want to make it look as professional as possible or you can utilize your own creativity to make movies and videos that can be uploaded without hassle. Apple has made it so iMovie can easily integrate itunes music and iPhoto images into your project, as well as export the finished product directly to your iCloud. If you don't have iMovie already, you can download it for $14.99. Nowadays, programs that were once only standard on a Mac computer are automatically included when you buy an iPhone or iPad, thanks to faster processors and updates to the iOS. 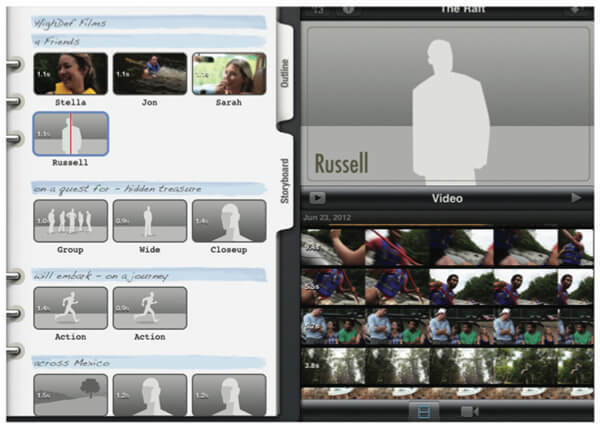 iMovie is perhaps the most entertaining and Mac-friendly program that has made that transition. Taking an already highly effective video editing tool, iOS takes advantage of the touch screen function to allow even easier ways to cut your MP4s and add iTunes music to your tracks, doing so with just a swipe of the finger. Add to it the ability to create your own "Hollywood Trailers", with built in themes and templates, iOS is practically giving away this remarkable app for $4.99 in the App Store. What with the creating of video without the use of a computer so easy to do now, oodles of new features are being added to programs for specific social media platform compatibility. One such social media platform that's currently seeing its 15 minutes of fame is Vine. 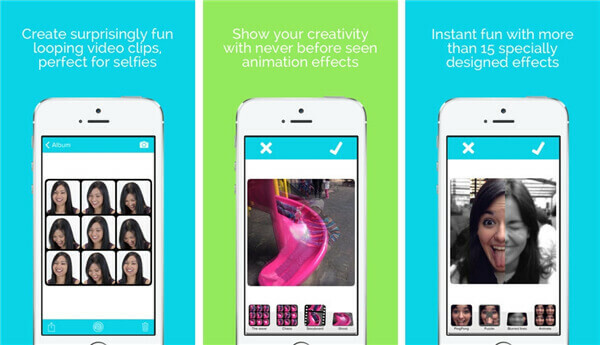 Vine allows you to create 6 second videos within its own app and post them for the world to see, like, and comment on. 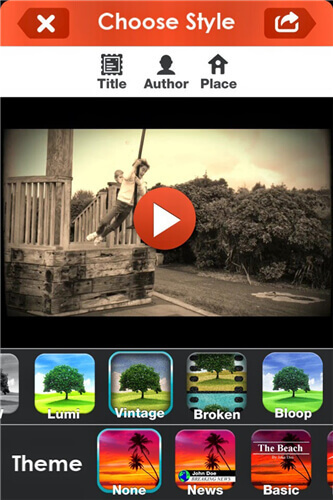 Videoshop includes a feature for Vine users to be able to create stop motion recording and upload it directly to Vine. Also included are Instagram-like filters and sound effects (including our favorite things: Vine quotes and fart noises). It's only $1.99 in the App Store and is one of the highest rated MP4 cutting programs in the iOS universe. It has "fun" in the title, so it must be just what the doctor ordered! This free-to-download iOS application lives up to its name by providing plenty of in-app purchases that include such fun things as Thug Life sticker packs, ghost effects and even the ability to purchase all of the extra content for $6.99. Gone are the days of boring splicing for mobile videos. 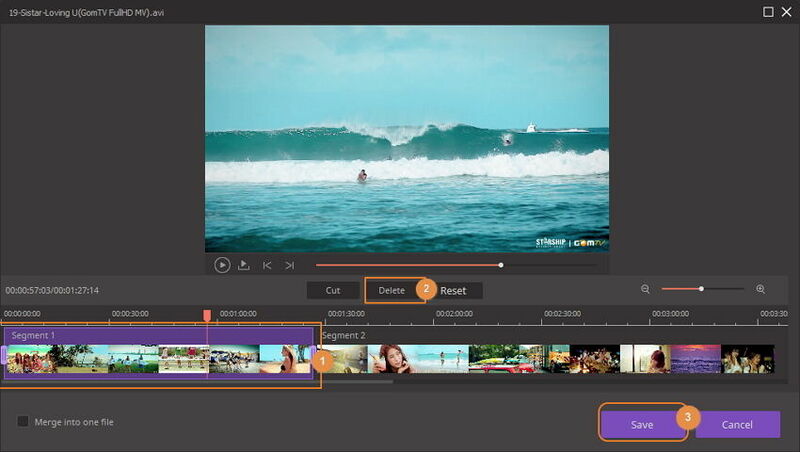 Funimate includes that user-friendly interface for the less experienced editor and so much more. If you're looking for something that doesn’t contain a steep learning curve, Magisto might be the app you're looking for. It's got a free downloadable version that allows you to do basic editing with filters, but also boasts facial recognition to detect your friends and family's faces, presumably by hooking your social media accounts to the app. The free version helps you create breathtaking videos using just pictures and/or various formats of video, but if you purchase the upgrade to the Premium version, unlimited cloud storage is included in your subscription. Magisto contains numerous types of subscriptions at various prices, anywhere from 99 cents to $29.99. Video Joiner is a little more cut-and-dry for the express purpose of helping you cut those home movies together in another free app and still making things a little less complicated for the user. Its name describes its purpose to a T: to seamlessly join together multiple videos and formats of video to make one general video to be exported or uploaded to social media or to your iPhone or iPad. As with all of the previous apps, Video Joiner also has the capability to be upgraded to the Pro version for a very small amount of money: 99 cents. 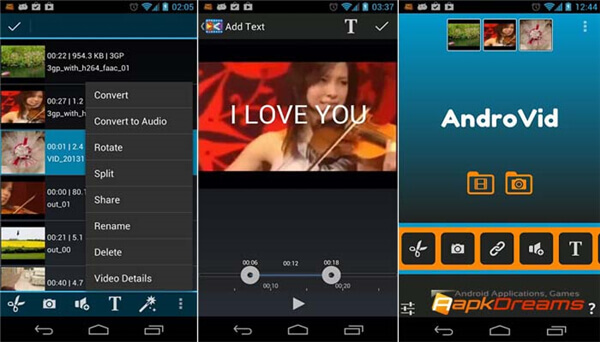 Kinemaster is a very popular video editing application for Android devices running Jelly Bean (version 4.1.2) or higher. It began as a free download with a watermark, but thanks to a recent update, you can try this upgraded version of Kinemaster free for 30 days without a watermark. Kinemaster also allows the user to use handwriting to make handwritten text on top of your video, instant preview at any point in your editing process, as well as plenty of 3D transitions and effects. The upgrade comes in a monthly ($4.99) or yearly ($39.99) subscription and is well worth it for quality MP4 cutting. Unlike a lot of the previous free-to-download MP4 editing apps, VivaVideo contains hundreds of free special effects, including text, filters, stickers, etc. 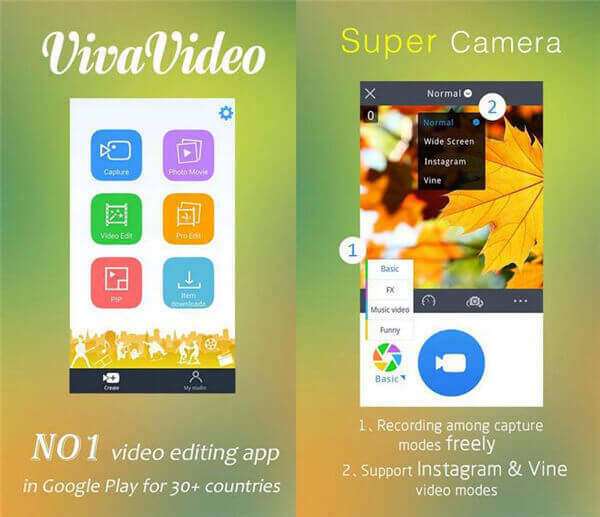 Similar to the other free apps, though, VivaVideo has to be upgraded to remove the company's watermark and to create unlimited video length and amounts of videos, which is still a fantastic deal at $2.99, under the name VivaVideo Pro. It is currently one of the most widely used video editing apps, though, and because of this, is constantly updated with bug fixes and expandable content. Perhaps one of the coolest features of this program is the ability to choose which type of selfie lens to use when capturing video directly into the program. What's a little more unique about the WeVideo app is that you can use it interchangeably with your desktop PC, laptop and other Android device. The addition of a cloud-based retrieval system allows for these interchanges and, at a price that doesn't actually cost you anything to use, we believe this is a pretty incredible way to alleviate the stress of losing footage and partially completed projects. You still are encouraged to purchase a watermark removal feature, but otherwise, you cannot beat the price for such a unique and user-friendly app. 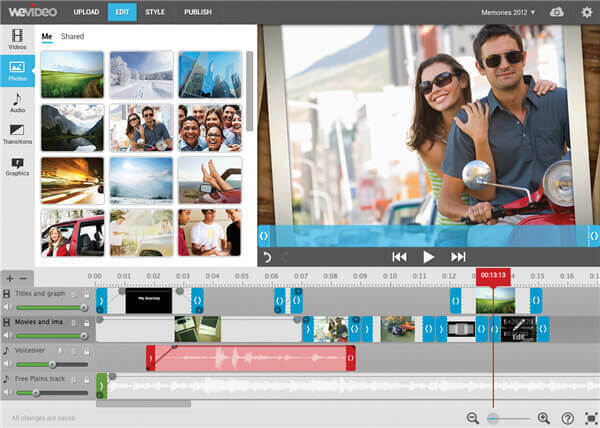 It also contains a feature that allows for easy, good-quality voiceovers to be recorded directly into WeVideo. VidTrim is another free-version app that gives you the ability to upgrade to its Pro version for more content and the removal of the watermark. It is supported in several different languages, allowing for a more global use. 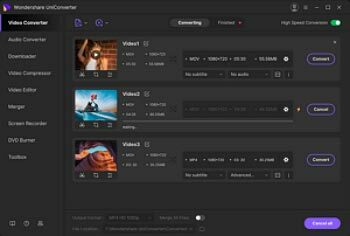 VidTrim boasts several different filters, clip trimming and even grabbing frames from your videos to create still shots and thumbnails to use in a bevy of ways outside of the video editor. Another interesting feature is being able to take the audio from your video clip and convert it into a simple mp3, for easier exporting and smaller file sizes. AndroVid has one of the simpler user interfaces, allowing for easy, user-friendly cutting, but also gives the editor a lot of more advanced content to choose from and include in their final product. The free version of this lets you merge several clips to make one larger one, but the content is limited to 30 seconds per clip. With AndroVid, you're able to physically touch any part of your timeline and remove, edit or add footage, music or special effects. The pro version allows for unlimited time length on clips and for more options when organizing existing clips. It's worth it at $1.99 and a nice bonus to this is a free 24 hour trial period of this Pro version. 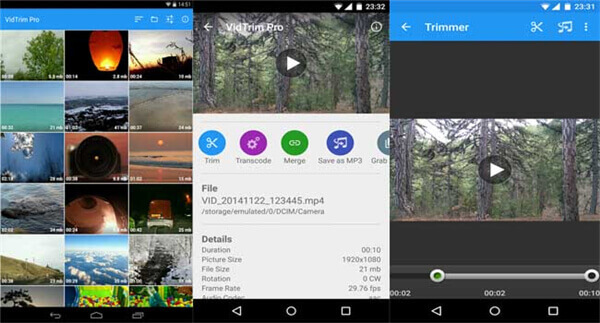 As with the Android application of the same name, WeVideo is a cloud-based editing program that allows the user to pause their progress on one device and open it on another. The user can also allow friends and family to collaborate on the video with them, making for an easy transition and so that outside file storage is not needed. The free version allows for quite a bit of content and capabilities, but if you sign up for one of the two monthly subscriptions, your allotted amount of cloud storage space and length of videos to work with will grow. The Premium subscription is $7 a month/$48 a year and the Pro subscription is $20 a month/$180 a year. Also available are Business and Educational subscription plans. 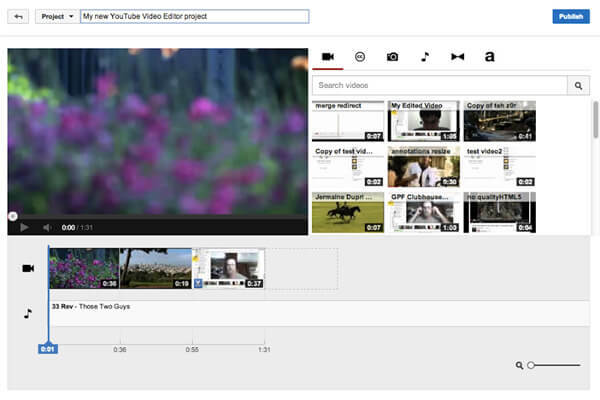 The aptly named Online Video Cutter does just that: it cuts videos. Online. It doesn't do much else, but if you are looking for something fast and easy to use, this is the online tool for you. It is free to use, but has its limitations at only being able to open files that are 500 mb or less. One perk to this program is the ability to import video and audio content directly from your Google Drive or any web site URL, making it a somewhat seamless cloud experience like WeVideo. With its function being the most basic one of all--cutting—we are confident that it can handle almost any format of video and audio. Perhaps the most obvious, yet unrealized video editor online at the moment can be found directly at YouTube.com. It doesn't have a whole lot of bells and whistles, but if you need to upload at certain in and out points, insert closed captioning and add audio tracks to your final product, it is all available right in the Creator Studio under, "Create". The beauty of this is, once you're finished, it will upload (after the predictable amount of time YouTube takes to upload various video clips) and be go live. Talk about your all-in-one web site! Here's an online MP4 cutter/editor that's a miniature step up from the aforementioned WeVideo, as far as special content goes. It allows for bigger files to be uploaded to the site, at 600 mb maximum and has some automatic features to edit your videos with ease and pizzazz. 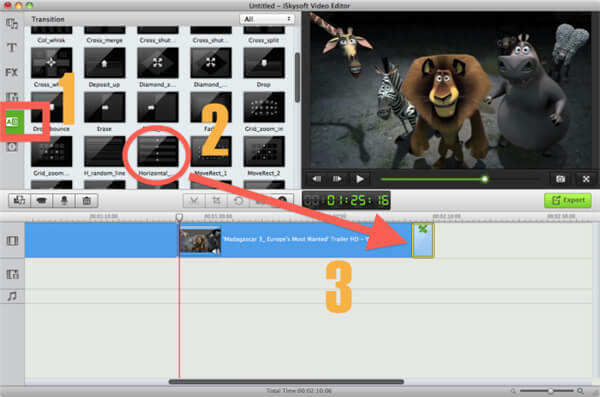 Basic tools, such as cropping, can be done in two seconds flat and, using a more advanced feature called demux, you can remove subtitles, audio or video from any file. At this time, the only version available online is free, which means you're unable to upgrade to increase file storage size, but with the way technology is advancing, especially for the everyday user to be able to edit their own videos, it is only a matter of time before this, too, is upgradeable. FileLab allows you to get a lot more in depth with your editing, as opposed to some of the previous free online cutting tools for MP4 files. 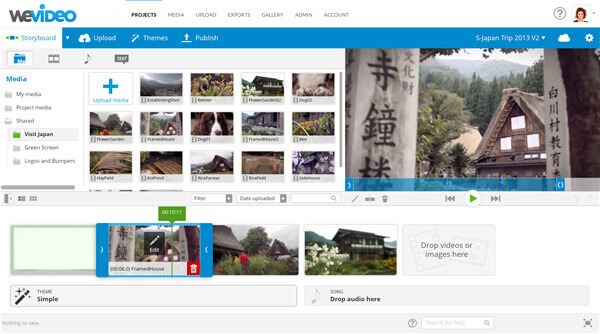 Similar to WeVideo, you're able to collaborate and share your efforts with ease. It works with a lot of different file types and allows for more than one video layer to get your desired effect. The difference with this web site is the fact that you need to install the web site's own plug-in in order to effectively use the editing processes. However, for such an advanced free tool, that's hardly anything more than a momentary displeasure.